When it comes to school cleaning in Perth a couple factors too come together. The quality, consistency, safety parameters and the pricing all act as driving forces. The school cleaning service should more than meet expectations and should be ongoing and reliable so that there is no cause for any complaints or feedback about the perth school cleaning undertaken. 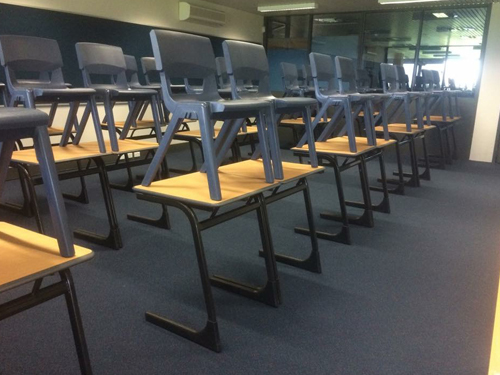 So, for any schools in and around the Perth CBD or surrounding suburbs, if you are looking for the best cleaning service company then connect with NCCS. We have not just experienced cleaners on board but police verified and working around child certified cleaners. In fact our school cleaning in Perth efforts cater not only to schools but also child care centres and day care facilities. Our cleaners know what really entails a good school cleaning in Perth. In addition to keeping the premises clean and in pristine condition, we use branded, safe, non-toxic cleaning products because we are aware that we work around children and we should be careful not to hamper their health and well being. Our school cleaning in Perth services ensure that we keep not just the surfaces clean but also the environment is clean and in great condition. The clean premises should impress upon children in such a way that the clean surroundings impact them very positively and they look forward to come to school every day. Our cleaners follow a regular schedule and process when it comes to school cleaning in Perth and we attention to cleaning every nook and cranny. If you want to know more about our school cleaning in Perth and want to engage our school cleaning services, contact NCCS on 0425 611 000 or email us at elsie@nccleaningservices.com.au.